So you’ve swiped right and it’s time for your first date? We’re big believers in being yourself whether you’re on date #1 or #100, so the perfect outfit can help you feel comfortable and confident. All you need to get started is your smile, and we’ll help with the rest. Read on for our tips for what to wear on a first date! 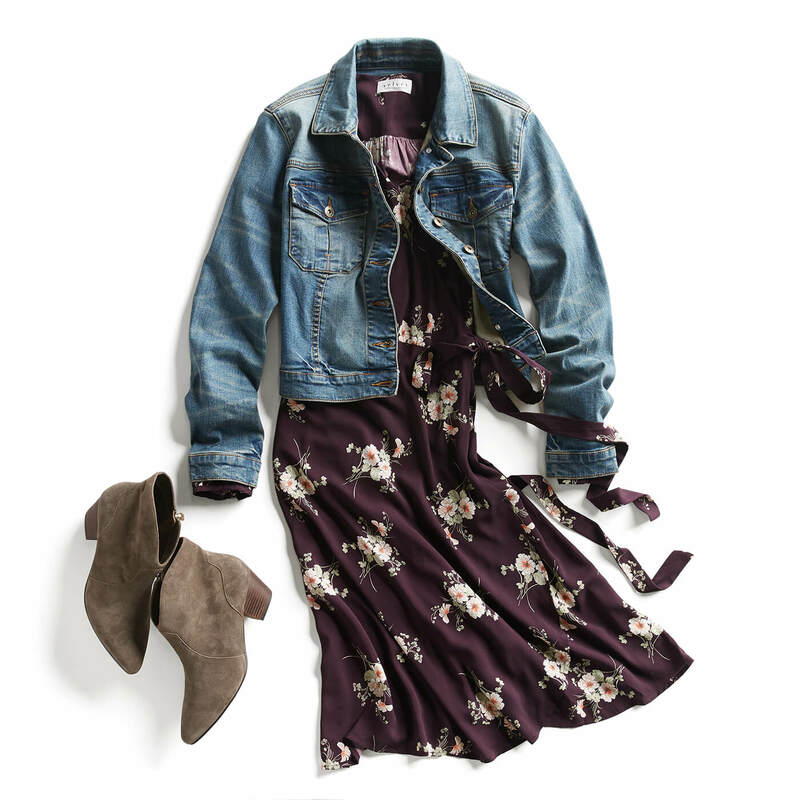 Whether it’s your favorite mini or maxi dress, pull out your favorite dress and pair it with a trusty pair of ankle booties to romp around in. If you’re strolling around town or catching a movie, you can’t go wrong with an ultra-feminine dress that makes you feel fabulous. Whether you’re headed to tapas or tacos, look savory in straight leg denim paired with a ruffled one-shoulder blouse. Spice this look up with sassy statement earrings and colorful mules and you’ll be lookin’ like a snack. Give fun and flirty first impression with a printed midi dress worn with a classic top—like a plaid button-up or plain white tee. Give this ensemble some edge with ankle boots, a bucket bag and a piece of jewelry that lets your personality shine, such as an edgy choker or sparkling statement necklace. 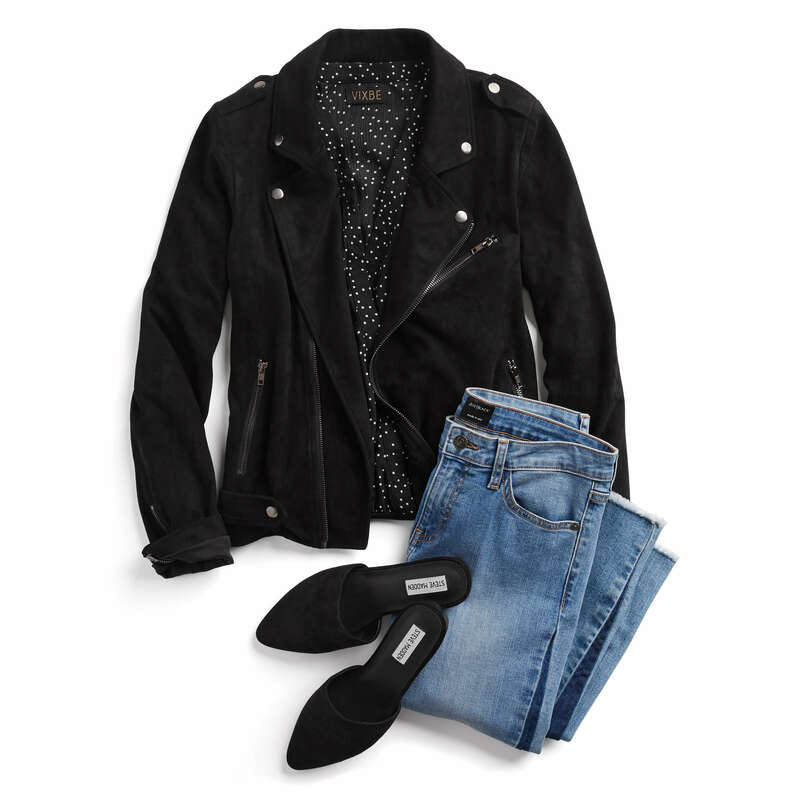 Stylist Tip: Don’t get (or give) the cold shoulder; bring a classic moto jacket to keep you cozy while looking cool. Serve sultry with a side of chic in a fitted LBD and suede booties. Finish the look with an embellished bag and layered chain bracelet and you’ll be a first date fancy fox. Need a first date outfit that’ll let your personality shine through? Schedule a Fix and your Stylist will have you covered!